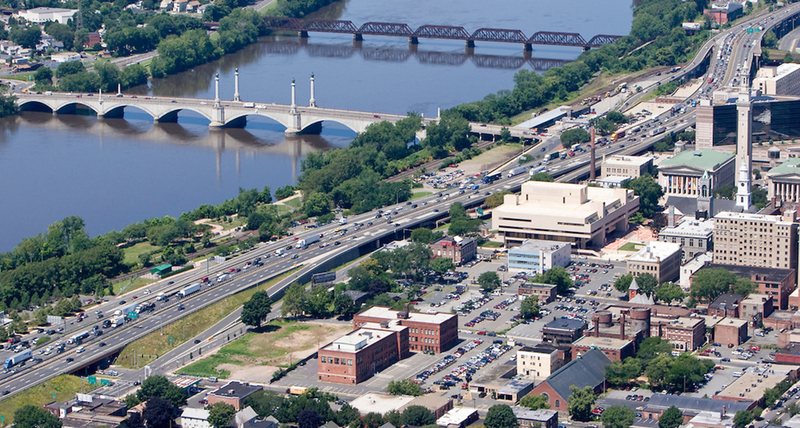 In 2012, a gas explosion at a downtown site in Springfield, Massachusetts damaged many surrounding buildings, causing evacuations and street closures in the city’s downtown entertainment district. Five years later, Conti Solar and Eversource are helping the neighborhood take another step forward. The solar farm is being built on the last lot available for development at the industrial park. As a result, there will be a need for future development sites in Springfield, with the Worthington Street neighborhood – part of the blast zone – being a prime candidate for development. “I think we need to think about urban renewal there,” said Kevin Kennedy, Springfield’s chief development officer. The Smith & Wesson Industrial Project is part of Eversource’s rapid solar expansion. The company plans to add 62 megawatts of solar asset management to its existing portfolio of 8 megawatts. The Smith & Wesson project is Eversource’s largest solar project to date. “Our team prides itself on creating value for our customers and stakeholders, and we are excited to provide our services for Eversource on this important project that will benefit the people of Springfield,” said Matthew Skidmore, CEO of Conti Solar. Conti Solar estimates the project will be complete in December 2017, providing Eversource the ability to bring the station online in 2018.